Our website gives you a wide and exciting range of samples for battleship games template. These games date back to World War I and the template have the famous paper-game that everybody loves. These templates come in proper grids and suitable spaces that would keep your Game Board neat and clean and would prevent it from smudges and get all messy. 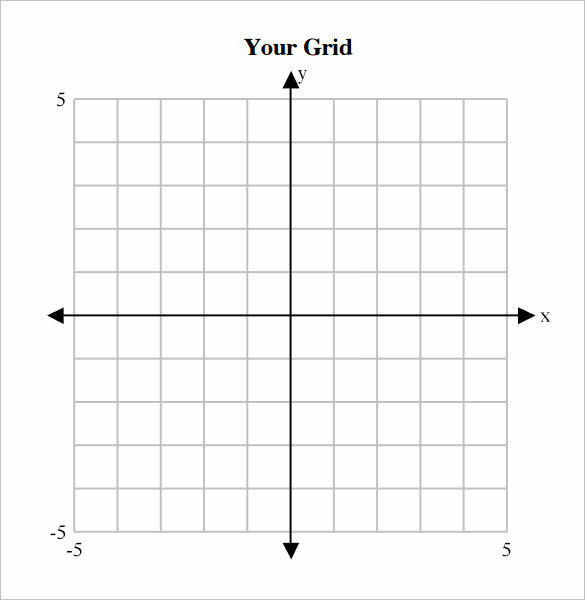 Here is a battleship game template with a neat grid layout. 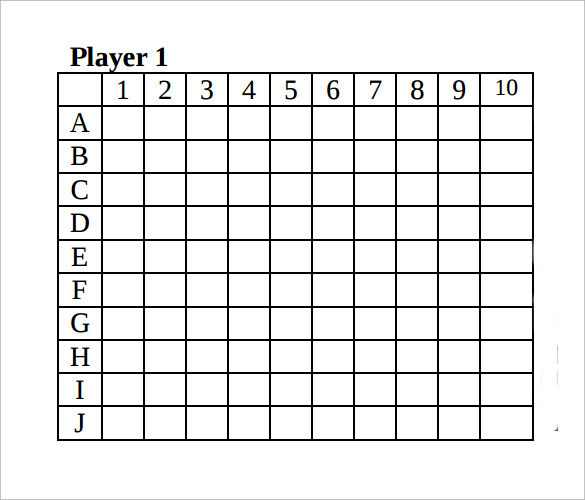 It displays the worksheet for player 1 and 2 and explains all the rules clearly. 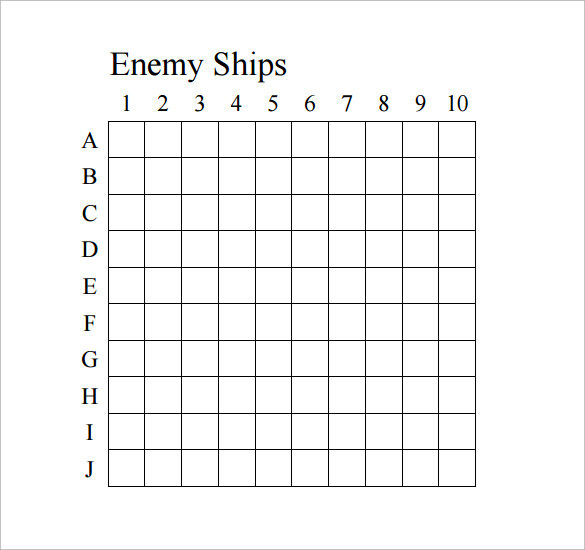 2 people can play this game with real battleship game or by using the grids as shown. Try it. 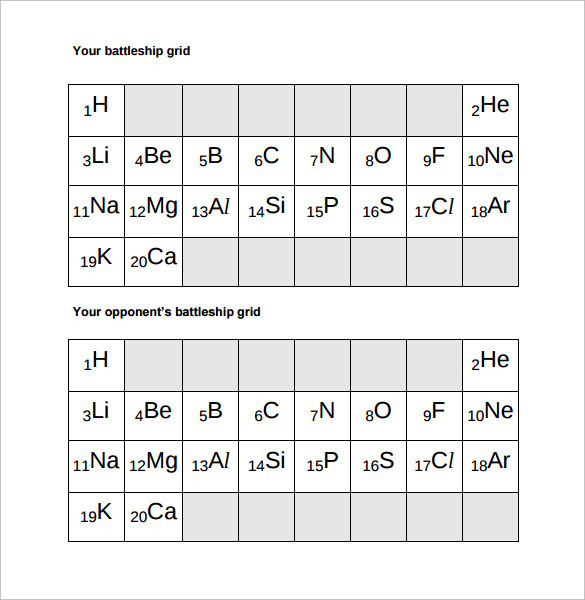 This is another simple battleship game sample with rules of the game and battle ships grids. Simply download this sample, read through the rules and instructions and you will be good to go. The template is easy to read and understand which is very good. 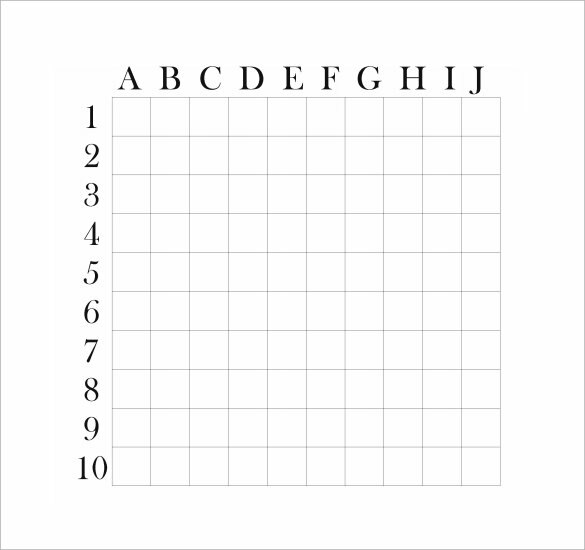 Here is an interesting battleship game that uses Cartesian format of display. It makes use of collinear points and x, y coordinates. You will find all the necessary information about the game in this template so download it now, see how it works and enjoy! 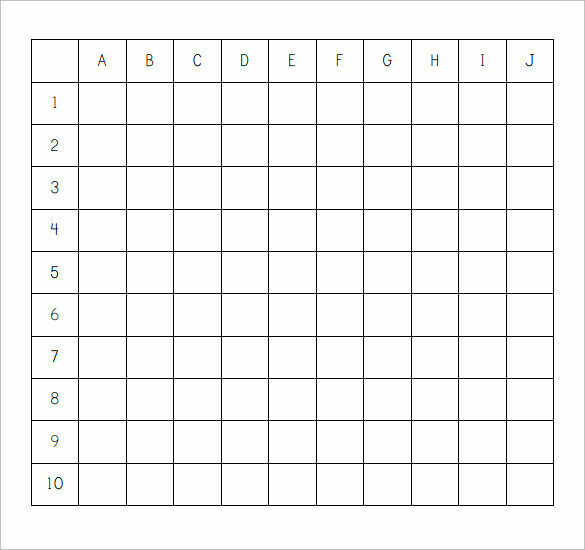 This is a battleship game template for spellings. Two people can play this game wherein the one who sinks his or her opponent’s spelling words wins. Everything about the game is clearly described for your understanding. It is a smart and fun battleship game overall. 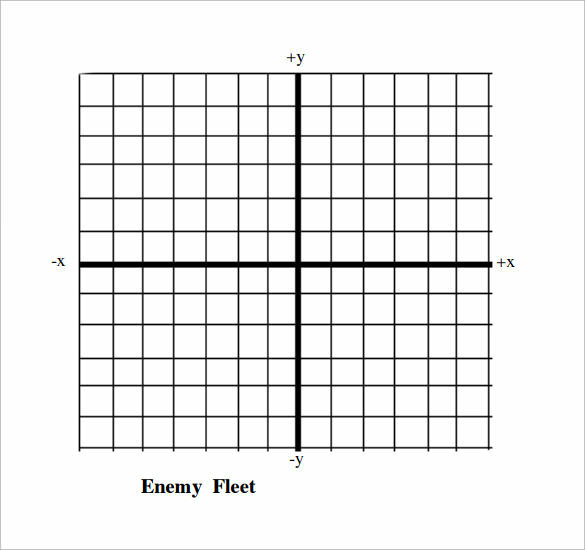 Why do you need Battleship Game Templates? 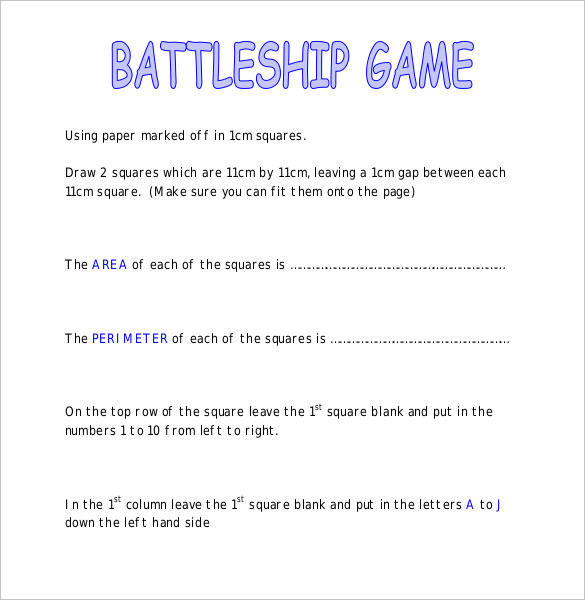 Battleship Game Templates are required in order to make the game look interesting for children. These templates provide a variety of styles and layouts that make the game appear attractive and fun. The templates also come with every detail about the game such as, the number of people who can play at a time, rules and instructions, grid styles, etc. They help you learn about the game in detail and play better. When you take the ideas and designs from these templates, you can enhance the way this game can be played. Download them right away and experience the fun. You may like Dot Game Templates. When do you need Battleship Game Templates? 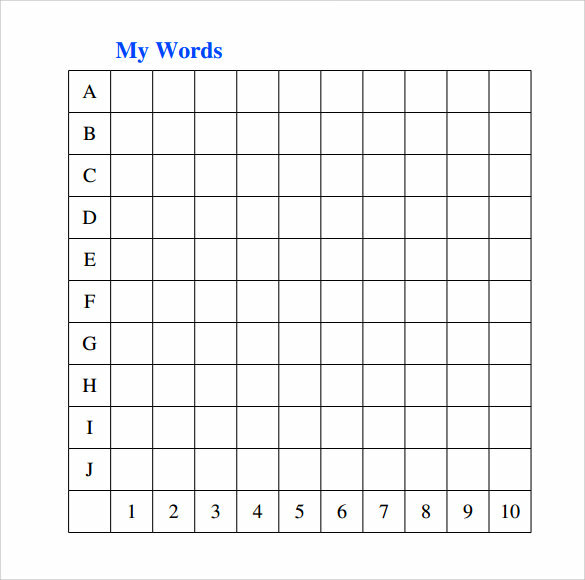 You will need the Battleship Game Templates when your kids are fond of playing different kinds of games. You will require these templates to make the game more interesting in the way it appears and also feels. These templates come with clear description of the game, its rules and instructions which will help you a great deal. You can read and understand the game easily with the simple explanation and explain the same to your kids. You can even play with them so that they can learn better and enjoy even more. This is when you will need Battleship Templates. You can also see Jeopardy Game Templates. While creating this game template, collect all the details about battleship game first. Make sure that the instructions are correct and all the information collected is true. Once everything is listed out, you can put them into the template. It should be well organized and listed so that readers can understand the content well. Design the game layout very well to make it look interesting and fun. Make sure that all the details are included and nothing is missed out. Lastly, proofread the whole template to check for errors or irrelevant content. Try them now!